Bird-dogs, a common creature in most Colovian regions. 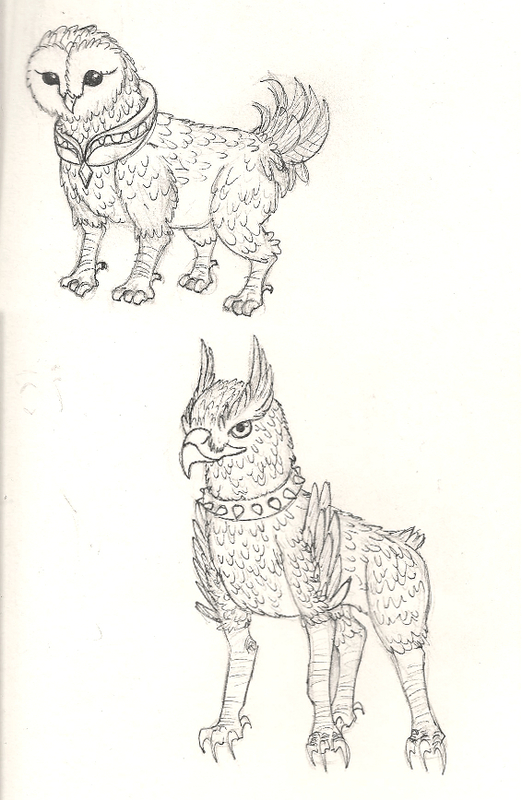 Two planned varieties: the small, owl-like pug Fyn, and the hawk-like hunting Fyn. Both should have feral and domesticated versions (with collars and without). Commonly kept as pets in Colovian homes. Shape and animations could be based on the wolf creature.